The traditional roof replacement process poses inherent risk to property owners and their tenants. During the re-roofing process, the roof is at times open to the elements. Also, there is the potential hazards of workmen working at heights who could potentially damage assets and inconvenience tenants occupying a building. 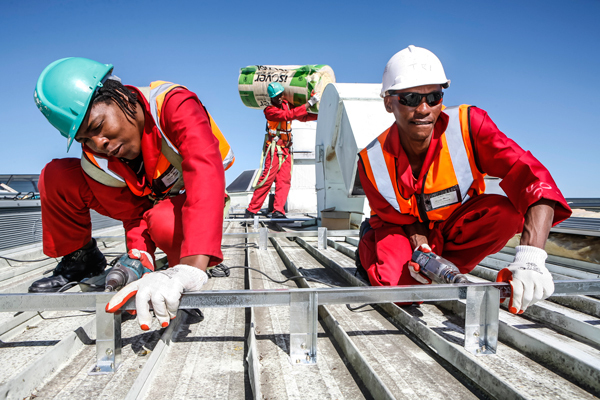 Recognising a market need, Scheltema – South Africa’s leading roofing, ceilings and partitioning installer since 1931 – has recently designed and engineered the Scheltema Spacer System which enables a new roof to be installed on top of an existing roof. Since all roof sheeting is left in place, the installation team has a safe platform from which to work. 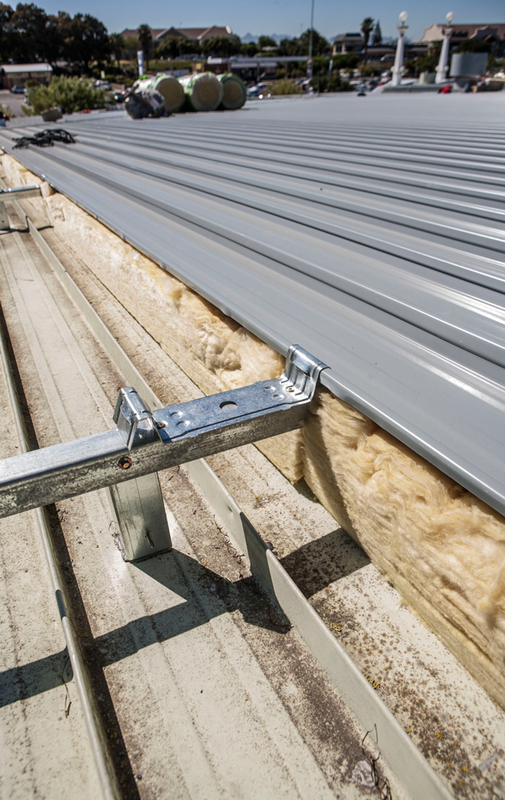 Spacer brackets are manufactured to length according to the insulation requirements and pre-installed whilst ensuring that the roof remains watertight. Once all the spacer brackets are installed and aligned the fixing bars are secured. Finally, the selected insulation and roof sheeting is installed. The ‘over- roof’ application is of particular interest and offers commercial benefit to shopping centres, production facilities, property owners and property managers. The solution halves the time of a traditional roof replacement and prevents disruption and potential consequential damage to property. In all this means reduced risk and no of loss of production, trading and rental. 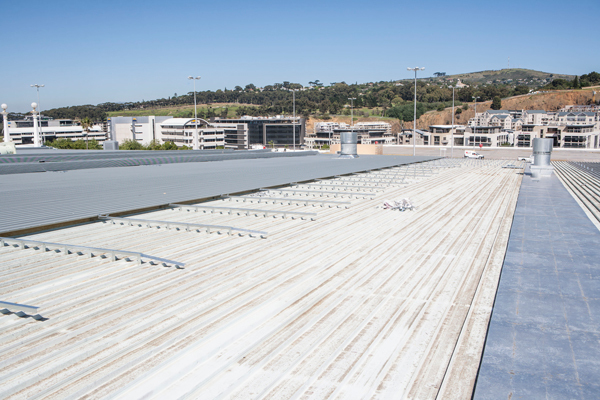 The Scheltema Spacer System was recently selected by the project engineers of the Tygervalley Shopping Centre Roof Replacement project. 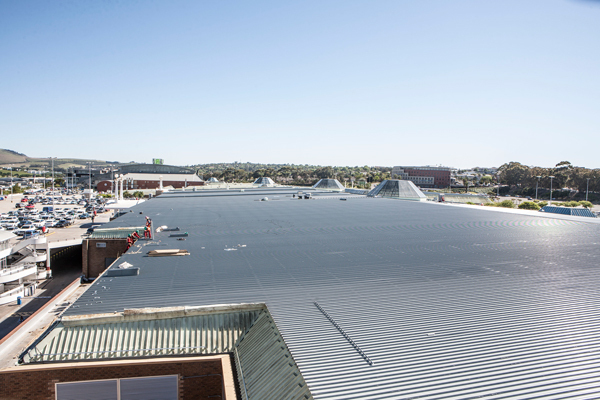 During the replacement of the entire 50 000m² roof and skylights, the shopping centre remained fully operational. The System maximises the thermal properties of uncompressed bulk insulation that was installed and as a result significantly reduces the Centre’s energy requirements. An added benefit, and in this case the key driver of such an installation, is the improved insulation provided to a building. Scheltema’s solution revolves around a spacer system that is essentially a raised structure upon which new roof cover is installed. The space between the existing and new roof introduces the potential to completely re-insulate the building. Bulk insulation installed in this space offers significant energy saving, as the insulation does not compress, thereby allowing it to perform to specification and comply with SANS 10400 XA requirements. Scheltema’s System comes with an independent engineer’s sign off at key milestones during the installation. It also provides significant cost savings compared with market alternatives and the feel good factor of utilising a locally designed and manufactured product. To enquire about the Scheltema Spacer system or obtain a quote, please contact Marcellus Finlayson on 021 6383121.